IP-telephony becomes more and more popular all around the world demonstrating plenty of beneficiary advantages in comparison to traditional means of communication. The main advantages of IP-telephony are its convenience and unbelievable low price. Using a VoIP-telephone will allow our clients to overcome connection to a concrete geographic location. The device works in any place where broadband Internet is available. Digital technologies ensure great quality of the connection in any place of the world. IP-telephony possibilities are almost limitless, and the costs are extremely low. Setting up an IP-telephone will allow our users to cut their monthly expenses on communication. Additional economy ensures a “virtual number” service that is a virtual telephone station with 32 independent channels. By choosing the best IP-telephony by Octopus Telecom you will forget about the pricy tariffs per minute forever. Our clients have access to unlimited connections with European countries, including Austria, Belgium, Bulgaria, Czech Republic, Denmark, France, French Guiana, Gibraltar, Greece, Guadeloupe, Croatia, Estonia, Iceland, Ireland, Italy, Cyprus, Great Britain, Liechtenstein, Latvia, Lithuania, Luxembourg, Malta, Martinique, Netherlands, Norway, Poland, Portugal, Reunion, Romania, Slovakia, Slovenia, Finland, Spain, Hungary, Germany and Sweden. A multi-functional IP-telephone is an advanced version of a usual analogue telephone ensuring a connection of higher quality and plenty of useful functions. Extended options include support of audio-conference regime, sending sms, compatibility with different accessories and many more. By ordering a setup of a VoIP-telephone in your office you will gain access to cheap IP-telephony and a chance to spare money. Setting and configuration of the safest equipment is performed by our highly qualified specialists absolutely FOR FREE! Nowadays Great Britain is one of the world’s leaders on the IP-telephony services market. Experts predict a real boom of this type of connection on the territory of the United Kingdom in the next years. Our company is one of the leading IP-telephony providers among British providers and actively supports transition of the population to the new standards of communication. Octopus Telecom is famous for its great quality services and reasonable process. 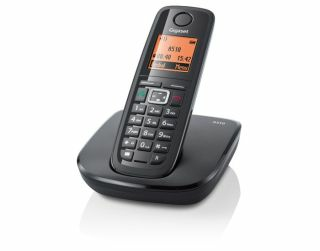 Our company offers the cheapest IP-telephony for homes and enterprises that anyone could afford. Don’t postpone your future, come to IP-telephony! Safe equipment from leading ip-system manufacturers are set for all clients who are connected to the International telephony services. 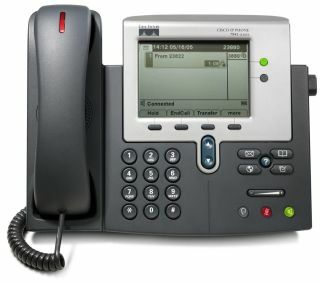 Allow to connect through two landlines simultaneously or to combine automatic dial-up through a separate landline. Integrated input for ergonomic for accessories connections. All information about incoming and outgoing calls is available in a handy, intuitive way. Data output on a large format modern display. All popular protocols supported: MGPS, H.323, SCCP and SIP. High-quality connection when making VoIP-calls. Integrated FXO and LAN ports. Possible to perform up to 3 calls simultaneously. Handy contact book with storage of up to 150 numbers. Highly effective energy saving technologies. How does the VoIP system work? Telephone server of the VoIP-system is connected to the landline and Internet at the same time. During the process of getting a usual telephone call the server processes, digitalizes and sends the signal to the necessary holder through Internet. When making calls from the Internet to landline numbers the procedure is vice versa. Signal input and output are performed at the same moment which ensures a high quality connection.